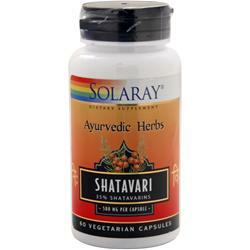 Shatavari is considered to be the main Ayurvedic rejuvenating female tonic for overall health and vitality. The reputed adaptogenic effects of Shatavari may be attributed to its concentrations of saponins, known as Shatavarins. In Sanskrit, Shatavari means "she who possesses a hundred husbands." Do not use if you have kidney disorders.